We are a leading Manufacturer of double headed fire hydrant valve from Mumbai, India. DOUBLE HEADED FIRE HYDRANT IS USED FOR FIRE HYDRANT SYSTEM TO FIGHT FIRE . 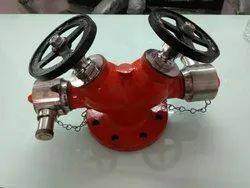 Looking for “Double headed fire hydrant valve”?